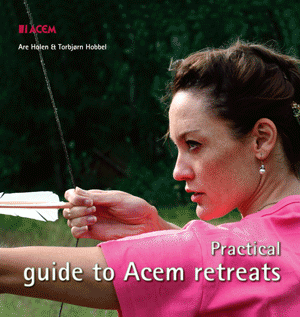 This book provides useful information for those who want to know how to prepare for long meditations at Acem retreats. Long meditations contribute to increased insight into one’s meditation process, as well as refined meditation practice in one’s daily life. The book is useful for those who want to participate in an Acem Meditation retreat, whether it is a weekend or a weeklong retreat. Any chance to get it without a PayPal account? PayPal is a no-go for quite a few people. Yes, Uwe, although PayPal administers the payment, you don’t need a PayPal account, you just pay as you would do on any online payment service. No luck, PayPal is a bad thing. 🙁 Maybe I can buy the book next March at the weekend retreat next march here in Germany.